Time for the next former employee feature where we highlight one of our fine cousins (what we call our employees) who has left us and moved on to a new place in their working life. Iron Horse Brewery: Position at Iron Horse Brewery? 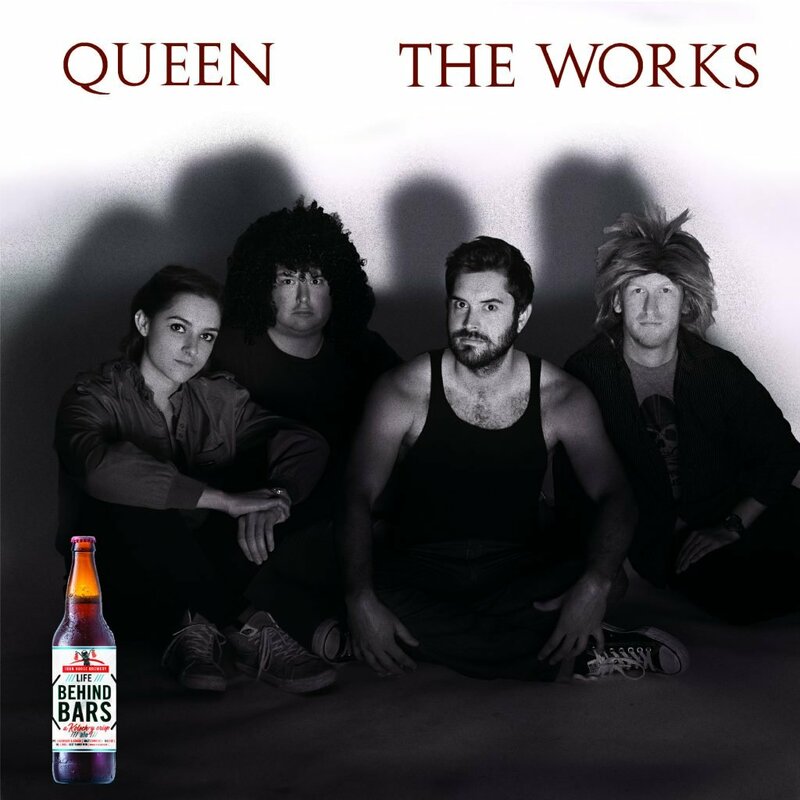 IHB: You forgot to mention that you have experience recreating iconic album covers. IHB: What years did you work at IHB? IHB: What is your favorite IHB beer? IHB: Koytus is unavoidable when hops and oats come together, so we avoided making that happen and koytus is no more. IHB: Where do you work now? 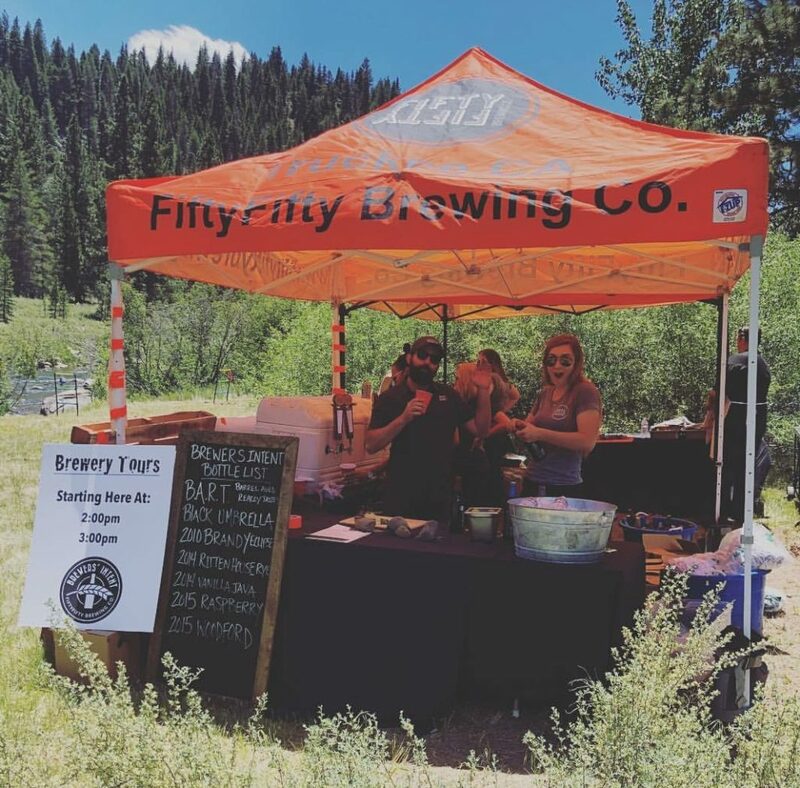 KM: I work for Fifty Fifty Brewing Company in Truckee, California. IHB: We hope you get fifty/fifty of the profits. 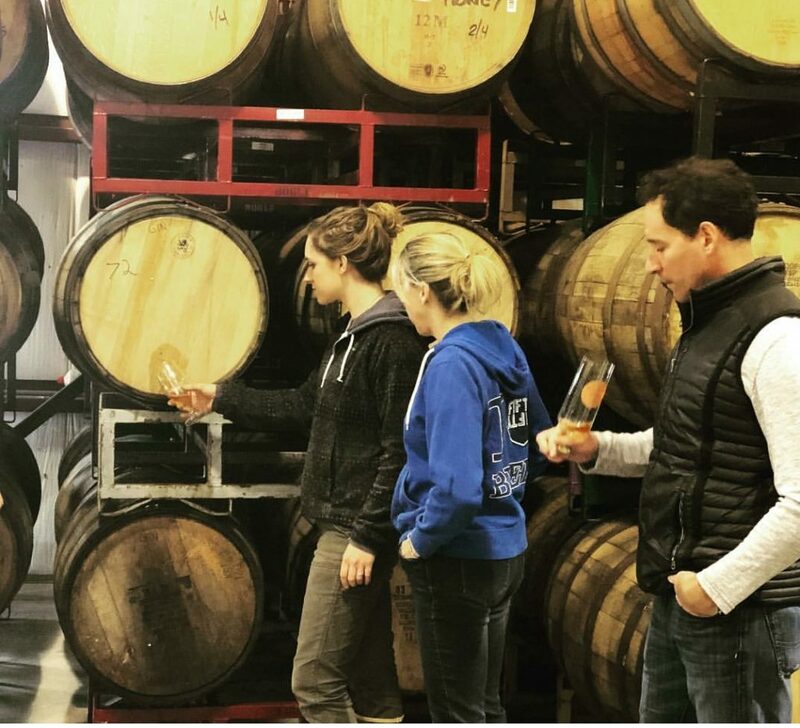 IHB: What do you do at Fifty Fifty Brewing Company? 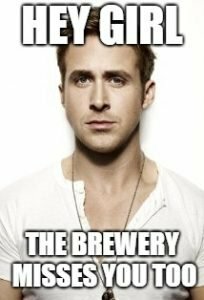 KM: My job title is Brewer but it’s a small company so everyone wears many hats. I get to brew, cellar, work with barrels, go to promotional events and oversee quality. Oh and also clean. Can’t forget cleaning. IHB: So you are the person who gets “things” done. And also the night janitor. IHB: How are you doing better now that you’ve moved on from IHB? KM: Yesterday, I went hiking before work. Truckee has so many great trails and outdoor activities #visittruckee. I keep trying to get the chamber of commerce to pay me for the endorsements. Also, I am closer to family now so I’ve really enjoyed getting to reconnect with them. IHB: When you use the buzzword “family” we can’t even argue with that. We will argue that we have great trails in Kittitas County too. 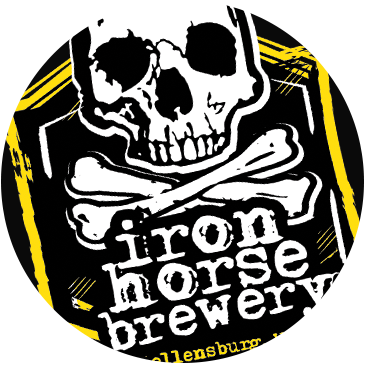 IHB: Is there one thing that working at Iron Horse Brewery helped you to get where you are now? Conversely, how did we ruin things for you? 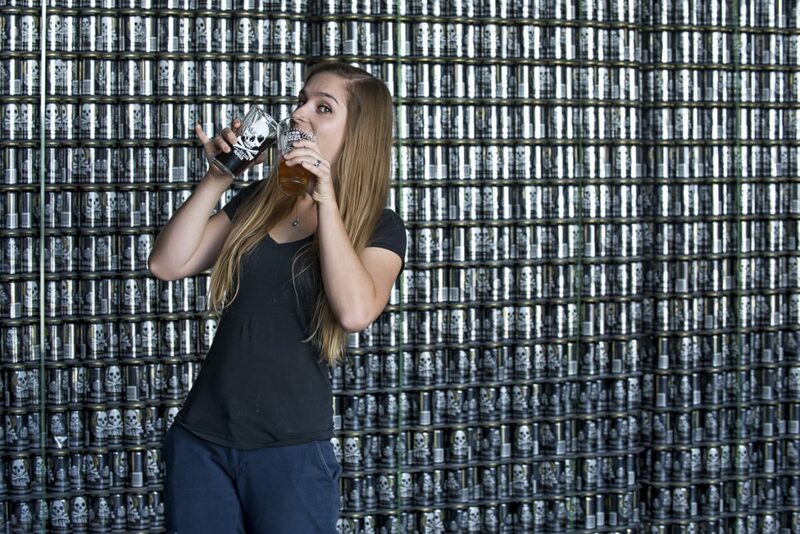 KM: Iron Horse gave me the opportunity to become a brewer and helped me confirm that it is an industry and a community that I undoubtedly want to be a part of. It ruined things for me because have subscribed to a life of dry/cracked hands #UseOkeefe’sWorkingHands. If the brewing thing doesn’t pan out maybe Okeefe’s will sponsor me. IHB: We didn’t teach you to use hashtags this much though. IHB: What is your favorite mythical creature? KM: Do gnomes count? They just really seem to have their priorities straight. They are humble and have a nature oriented existence that I really resonate with. IHB: We don’t gnome if they count, but we agree that hanging with your gnomies would be a chill experience. IHB: What is your most memorable moment at IHB? KM: Honestly, I look back at my time there fondly. I made so many valuable friendships and got to know some talented individuals. Shout out to my homegirlz at the pub and production crew! That being said, shooting Ross with a super-soaker multiple times for our brand guide photo shoot was pretty memorable! 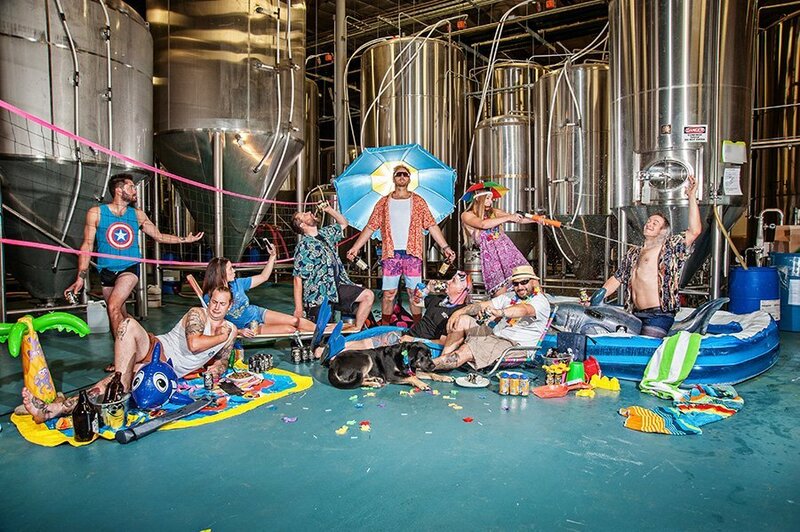 IHB: We liked that time you wrote this blog so we had 11 beer + summer activity pairings to enjoy. IHB: On a scale of 1 to 10.3 how much do you miss working at Iron Horse? KM: I think a more accurate unconventional scale would be: On a scale of Megan Fox in the beginning of Transformers 2 to Ryan Gosling in the end of The Notebook, how much do you miss working at Iron Horse? Definitely a Ryan Gosling. The Ultimate New Year’s Resolution Challenge is a Game Changer.